-Wow, this season sure is spinning its wheels, isn’t it? They could’ve pulled off this “model the whole season around 3 days” if they only had 10-13 episodes to work with. It’s not a bad decision on the surface, but when you factor in the network TV requirements, then it’s exhausting. -I would be more fine with the lack of the mother if the rest of the show didn’t just consist of the same plot points and character moments over and over again. Introducing the mother is an opportunity to model everything around her as her own character, because everything prior was modeled around the idea of her. We should be seeing exactly how the characters are growing and reaching the end of their respective stories, as the mother not only kicked everything off, but is bringing everything to an end. -Barney and Robin’s storyline is very tiresome to get through. The fact that they’re spending half their time before the wedding arguing suggests that they really shouldn’t get married at all, and the show still trying to emphasize their independent natures after eight seasons with the characters reeks of indecision and inorganic tension. -We also have Marshall and Lily here; my problem with this storyline is that the Marshall and the Lily we know would make a compromise. Marshall wouldn’t be the kind of guy that would rush into a decision without consulting Lily, and Lily isn’t the kind of person that would blow up at her husband for doing so. However, I am very glad Marshall finally told her about the job. 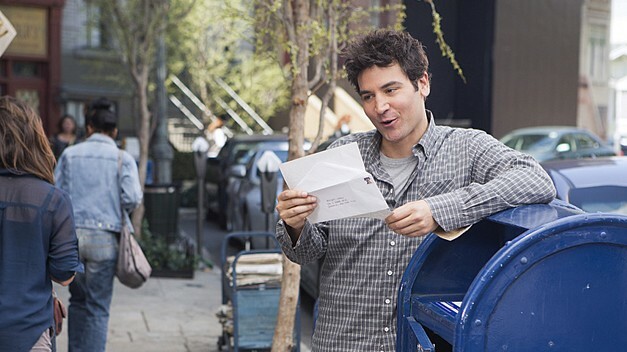 -That’s not to say there aren’t any amusing moments in this episode; the flashbacks are nicely done, and Ted in a mailbox is funny. However, the episode once again gets bogged down by the network requirements, coming across as typical sitcom fodder designed to fill up some space. Credit to CBS and How I Met Your Mother for all pictures. I own nothing.